AR482AA HP 16X SATA Internal Blu Ray Writer. Refurbished. 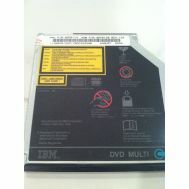 39T2722 IBM 8X 24X IDE Internal Ultra Slim Multiburner Dual Layer DVD±RW Drive. Refurbished. 450432-B21 HP 9.5MM DVD ROM Drive For Proliant Dl320 G5 Server. Refurbished. P69-MDDE128F MATROX Millennium P690 Pci Express X16 128 Mb Ddr Ii Sdram Graphics Card. New Bulk Pack. 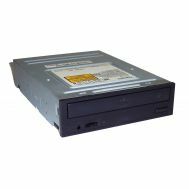 92P6014 IBM 8X Ultrabay 2000 DVD±RW Multi Burner Drive For Thinkpad. New Bulk Pack. 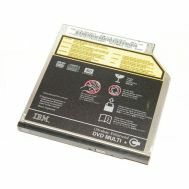 92P6110 IBM 8X IDE Ultrabay Slim Multi Burner DVD±RW Drive For Thinkpad. Refurbished. 04K0058 IBM 32x-14x Internal Ide Cd Rom. New Retail Factory Sealed With Full Manufacturer Warranty. 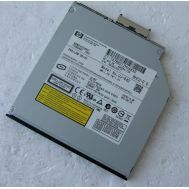 39T2671 IBM 12.7MM 8X Slim Ide Internal Ultrabay Multi BurneR DVD-RAM/RW Drive. Refurbished. 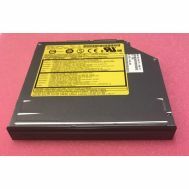 39T2670 IBM 9.5MM 24X 10X 16x 8x Ultrabay Enhanced Slim Cd Rw Dvd Rom Combo Ii Drive For Thinkpad. Refurbished. 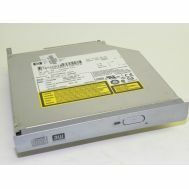 403711-001 HP 9.5MM 8X IDE Multibay Ii Dual Layer Slimline DVD/RW Drive For Notebook. New Bulk Pack. 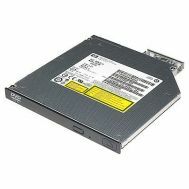 GCA-4040N HP 8X IDE Internal Dual Layer Slimline Carbonite DVD-RW Drive For Pavilion. New Bulk Pack. 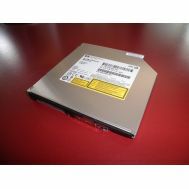 652295-001 HP 12.7 MM SLIM SATA PORT 8X DVD RW. New Retail Factory Sealed With Full Manufacturer Warranty. QS208AA HP 1/2 HEIGHT SATA 16X Supermulti DVD±RW R DL DVD Ram Drive Optical Drive. New Retail Factory Sealed With Full Manufacturer warranty. 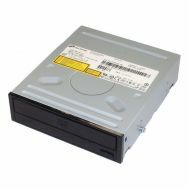 408684-130 HP 9.5MM 8X Multibay Ii Ide Internal Dual Layer Slimline DVD/RW Drive. New Retail Factory Sealed With Full Manufacturer warranty. PA851A HP 9.5MM 8X IDE Multibay 2 Dual Layer Slimline DVD/RW Drive For Notebook. New Retail Factory Sealed With Full Manufacturer warranty. 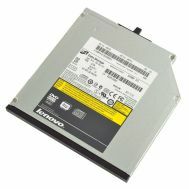 43N3212 Lenovo 9.5MM 8X Ultrabay Slim Sata Internal Dvd Rom Drive Ii For Thinkpad. New Bulk Pack. 652297-001 HP 9.5MM SATA DVD RW Slim Jackblack Optical Drive Mfr P/N 652297-001 HP CD DVD Burners & Media. New Retail Factory Sealed With Full Manufacturer warranty. 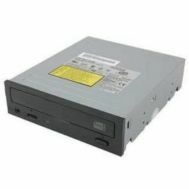 9J259 Dell 16X/48X CD Ide Internal DVD-ROM Drive. Refurbished. PA851A HP 9.5MM 8X IDE Multibay 2 Dual Layer Slimline DVD/RW Drive For Notebook. New Bulk Pack. 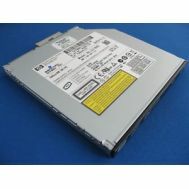 41N3355 IBM 8X IDE Dual Layer Ultrabay Multi Burner DVD+RW Drive For Xseries. Refurbished. 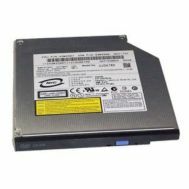 491775-6C0 HP 12.7MM SATA Internal Blu Raydisc Supermulti DVD/RW Optical Drive For Notebook PC. Refurbished. 481045-B21 HP 9.5MM Serial Ata Internal Dvd Rom Drive For Proliant Dl120 Dl160 Dl165 G6 G7 Server. New Bulk Pack. QS208AA HP 1/2 HEIGHT SATA 16X Supermulti DVD±RW R DL DVD Ram Drive Optical Drive. Refurbished. 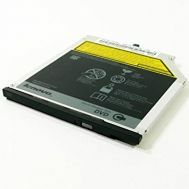 40Y8624 Lenovo Thinkpad Ultrabay Enhanced Super Multi Burner Dual Layer DVD±RW Drive. Refurbished. 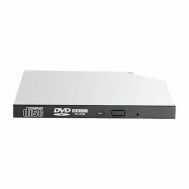 408684-130 HP 9.5MM 8X Multibay Ii Ide Internal Dual Layer Slimline DVD/RW Drive. Refurbished. 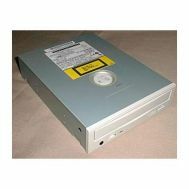 371-1106 Sun 8 x DVD-Writer/24xCD-Writer RoHS:Y. Refurbished. 652296-001 HP 9.5MM Sata Dvd Rom Jb Kit Gen8. New Bulk Pack. 33P3251 IBM 40X 10X 32X 16x Ide Internal Cd Rw Dvd Rom Combo Drive. Refurbished. 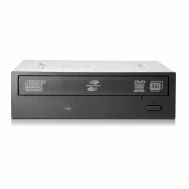 403711-001 HP 9.5MM 8X IDE Multibay Ii Dual Layer Slimline DVD/RW Drive For Notebook. Refurbished. 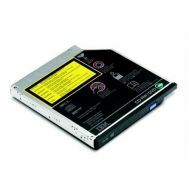 624591-001 HP 12.7MM 8X SATA Internal Double Layer Dvd-Rom Optical Drive With Lightscribe. New Bulk Pack. 652238-B21 HP DVDROM SATA JACKBLACK 9.5MM KIT. New Retail Factory Sealed With Full Manufacturer Warranty. 33P3236 IBM 16X/48X Ide Internal Dvd-Rom Drive. Refurbished. 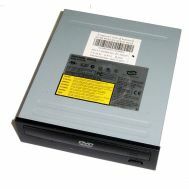 0A65626 Lenovo Thinkpad Ultrabay 9.5mm Dvd Burner. New Retail Factory Sealed With Full Manufacturer Warranty. 481430-001 HP 9.5MM SATA Internal Dvd Rom Optical Drive For Proliant Dl160 Dl320 G6 Server. Refurbished. 41N3345 IBM Computer Dvd Rw Combo Drives. New Bulk Pack. PR595A HP 16X DVD RW Double Layer Lightscribe Optical Drive. Refurbished. 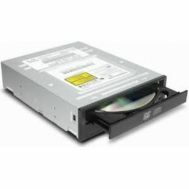 TS-H553 Toshiba 16X SATA Internal Dvd±Rw Dual Layer Lightscribe Optical Disk Drive. Refurbished. PA851A HP 9.5MM 8X IDE Multibay 2 Dual Layer Slimline DVD/RW Drive For Notebook. Refurbished. 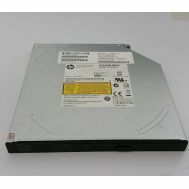 652297-001 HP 9.5MM SATA DVD RW Slim Jackblack Optical Drive Mfr P/N 652297-001 HP CD DVD Burners & Media. New Bulk Pack.